Our next stop after York was Cardiff, Wales (where we met up with Anne's brother who had been studying at Cardiff University). Cardiff has a couple of interesting places to see. 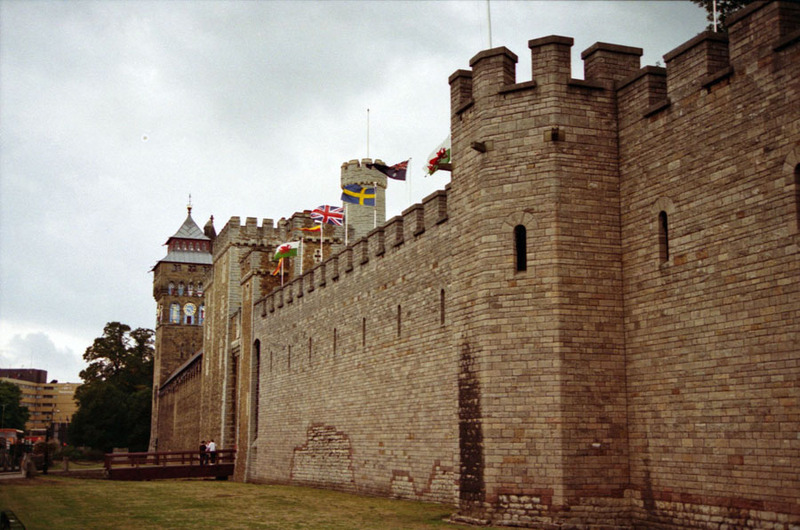 This is the front of Cardiff Castle, the main museum in downtown. The Romans built the original fort on this site, and the bricks you see along the bottom are part of the original Roman structure.